3-Piece Tabletop Sword Display Stand | BUDK.com - Knives & Swords At The Lowest Prices! Show off the favorite pieces in your sword collection! 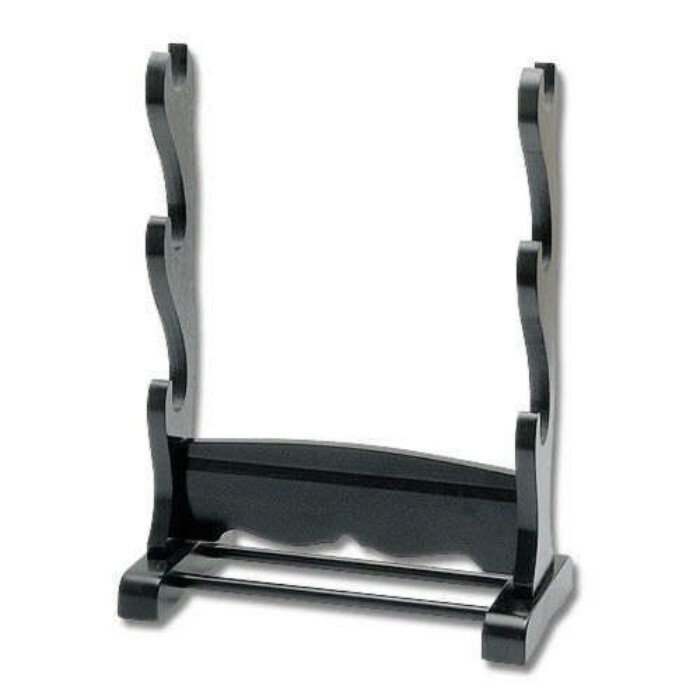 This tabletop display stand is constructed from solid wood with a rich black finish. It measures 13" x 6" x 17 3/4" and can hold three swords. Swords not included. United Cutlery, UC0808STD.